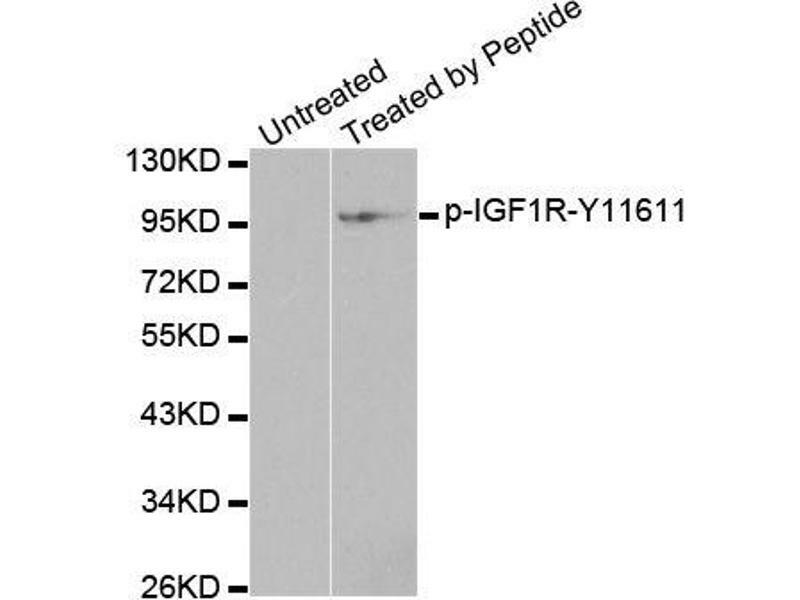 Western blot analysis of extracts from 293 cells, using Phospho-IGF1R-Y1161 antibody (ABIN2988064). 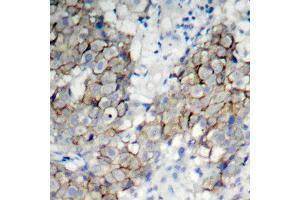 Immunohistochemistry of paraffin-embedded human breast carcinoma using Phospho-IGF1R-Y1161 antibody (ABIN2988064). 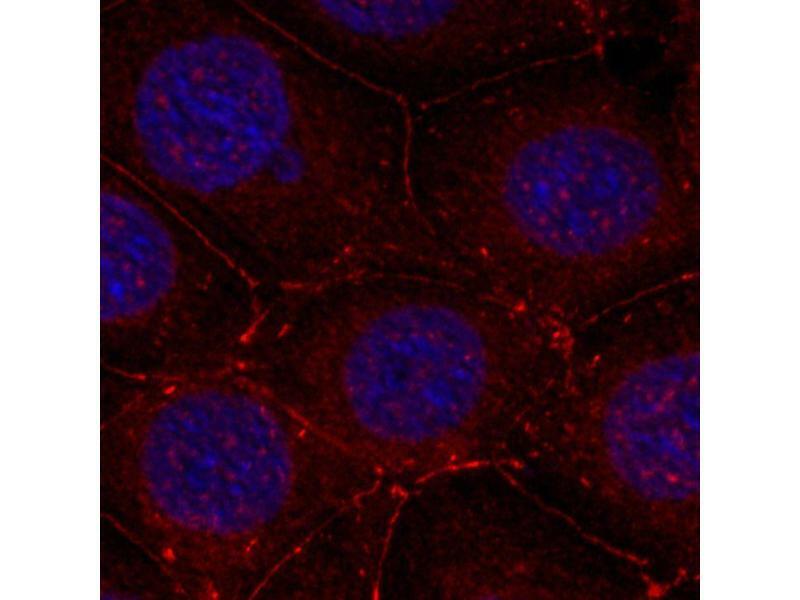 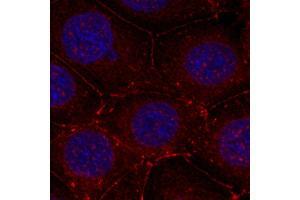 Immunofluorescence staining of methanol-fixed MCF-7 cells using Phospho-IGF1R-Y1161 antibody (ABIN2988064). 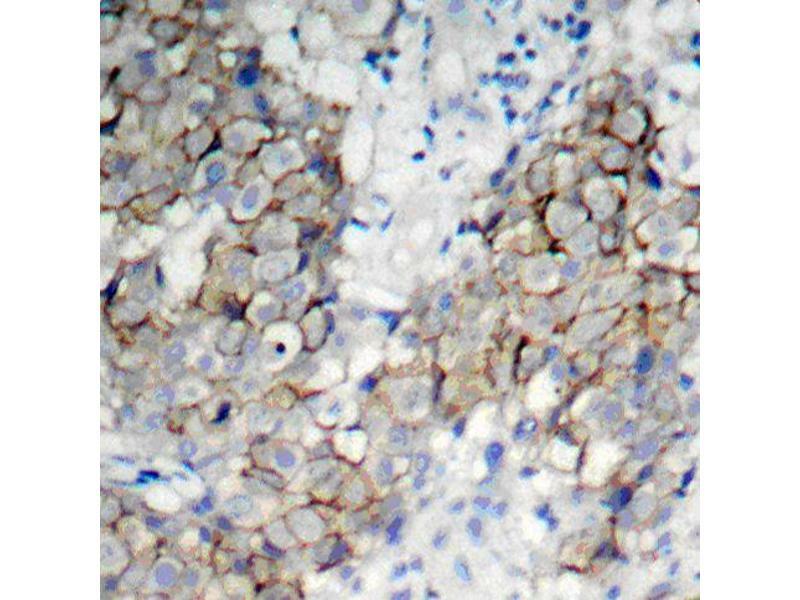 Immunogen Synthetic Peptide. 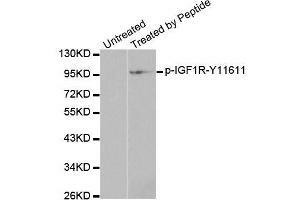 A phospho specific peptide corresponding to residues surrounding Y1161 of human IGF1R.